Last week we learned all about BOM’s in the quilting world and today, I could not be more excited to spill the beans on my Starry Night Sampler. It’s been really hard for me to keep this project under wraps but now, I can finally share the details. I’ve partnered together with Fairfield World and each month I’ll be sharing a new block with tons of tips to help you stitch them together with ease. In the end, we’ll put them altogether and create a fun lap size quilt. The blocks are based on traditional units that will help us build our skills as the year progresses. We will start with a simple 9 patch block and work our way up to a larger star with several pieces. Because I wanted a fun and scrappy outlook for my sampler, I choose the fabric line Intermix by Dear Stella and paired it with Kona White. I just love the mixture of mini dots, stripes and basket weave. 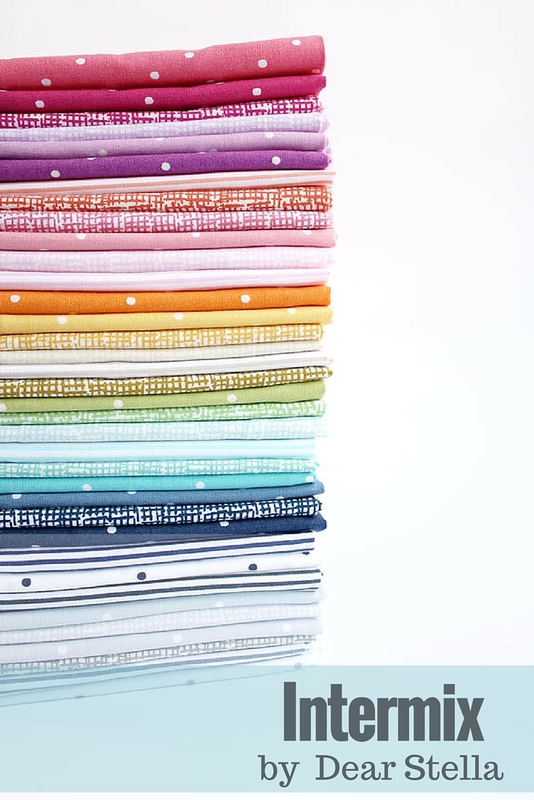 This collection is part of their basic line and can be found at a quilt shop near you. To help kick things off in style, we are giving away a fantastic prize package filled with supplies to help you stitch together the Starry Night Sampler. Now Closed – Congrats to our Lucky Winner! Stay tuned, the first block will be released on February 15th. In the meantime, be sure to sign up for our newsletter and never miss a block because at the end, you’ll have a cozy lap size quilt to snuggle under and watch tv or read your favorite book. Is block 1 ready? I can’t find it. 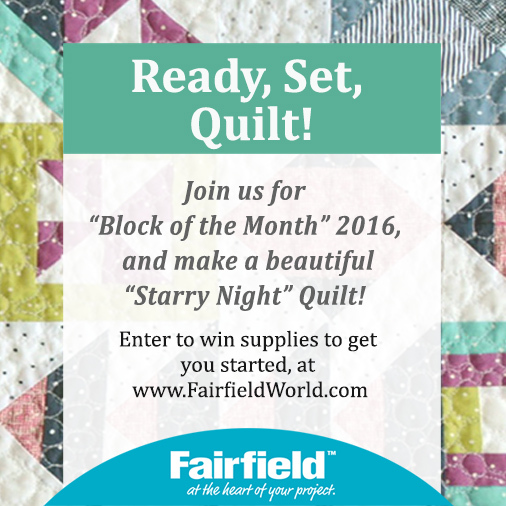 I am not sure if I am registered but I would love to make this quilt with your group. How do I register for the block of the month? No registration is needed Susan. Each month the blocks will be posted here. Plus, I will be sharing them on social media and in the newsletter. Looking forward to seeing yours all stitched up! 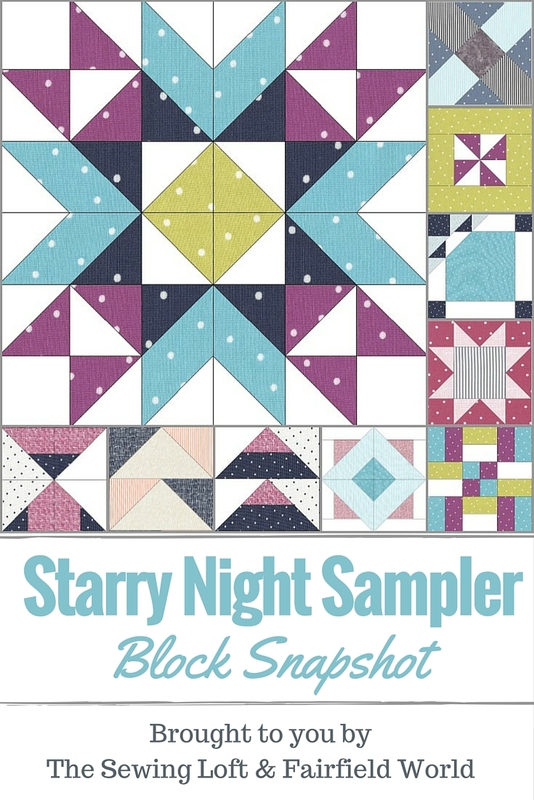 Heather, I am unable to get the last three blocks of the Starry Night Sampler Quilt. Can you tell me where I can get them? Thank you for your help. Thanks for the note Kay, they have all been linked above for easy reference. Look forward to seeing your quilt all stitched up.